In a city with more than 4,000 murals, it seems long overdue for Will Smith to get some love from Philadelphia. Even Kevin Hart got a mural in North Philly before Will Smith. Well, Smith is now getting one, too, thanks to London artist Richard Wilson. Mural Arts Philadelphia tweeted a glimpse of the progress on the project at 4545 Girard Ave., where the West Philly native and "Fresh Prince" legend will grace the side of Gevurtz Furniture. A post on Wilson's Instagram revealed that the project is a collaboration with a nearby school. Mural Arts Philadelphia explained that it's entirely Wilson's project, but they helped connect him with Global Leadership Academy Charter School for community engagement. Wilson works primarily with spray paint and oil. Previous projects have included American funk and jazz composer Roy Ayers, Real Madrid star Cristiano Ronaldo and a tribute to black musicians featuring A Tribe Called Quest, Nina Simone, Fela Kuti and Stevie Wonder. 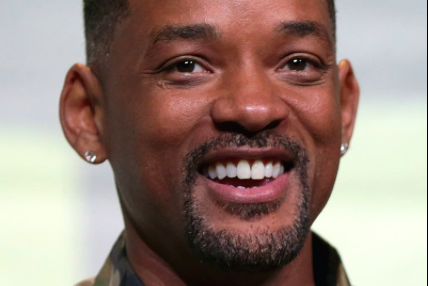 We can only hope Will Smith will be in town for the official dedication.